When some think of a “Southern” home, the first images that come to mind are the grand plantation style homes from Gone with the Wind, The Help and movies in between where Southern or plantation homes took center stage. Yet true Southern homes are so much more than just those stately facades. 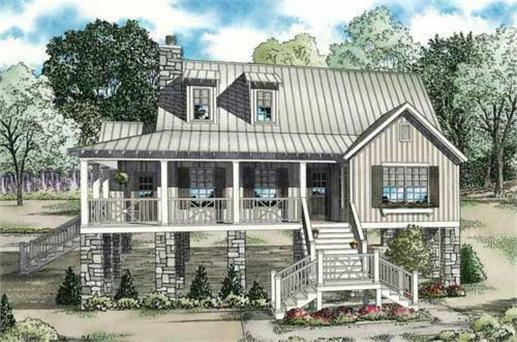 A Southern style house plan captures the spirit of Southern living in its elegance combined with comfort, warm interior design and floor plans, attractive exteriors and keenly designed landscapes that embrace the surroundings. Top: This beautiful Southern style home has front and rear covered porches, 4 spacious bedrooms, 3 baths, walk-in closets, a jetted tub, and an oversize shower. The kitchen is fully equipped with a wraparound raised bar, walk-in pantry, large adjoining laundry, and fireplace (Plan #141-1001). 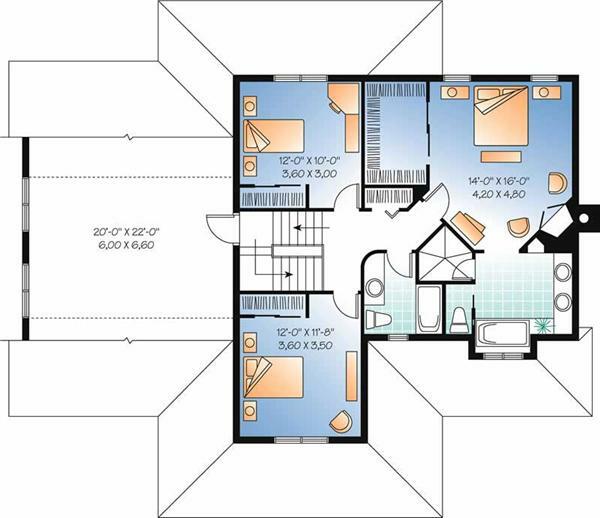 Bottom: This 3-bedroom, 2-bath home has a covered porch with 10-inch columns, living/dining room with a fireplace, master bath with whirlpool tub, and walk-in closets (Plan #153-1404). 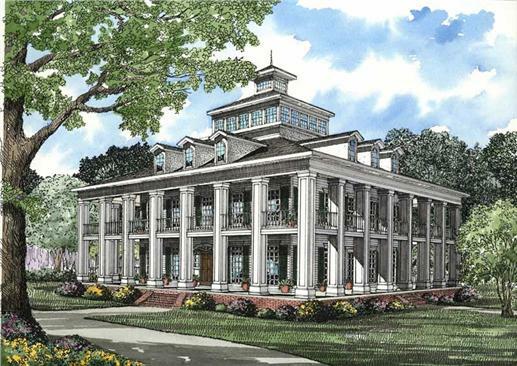 Although there are different architectural designs associated with Southern house plans, some features are typical of the style. The verandas, porches and balconies provide much-needed shelter from the sun and sweltering heat in the Southern states. While the exterior exudes formality – with the brick columns and ornate details of the entrances, the interior design is basically of comfort, hospitality, and warmth. Whatever design form the Southern plantation has evolved into in the 21st century, it remains true to the original concepts of making the home comfortable, cozy, and inviting. And, in these modern times, the Southern style home has added the practical, functional and efficient to its design - from furnishings to exterior accents, paint colors, and landscapes. 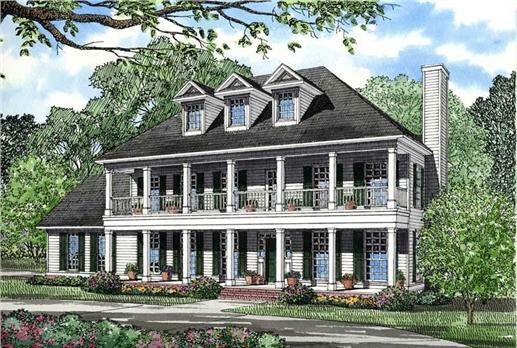 Today’s plantation style homes are built on a more modest scale than their Antebellum predecessors. However, they still have the spacious terraces, covered front porches, tall, stately columns, and symmetrical windows. To make the homes more informal to fit the modern era, porches are adorned with wicker furnishings such as chairs, tables, and even rocking chairs. Again, comfort and ease are key to both the exterior and interior designs. 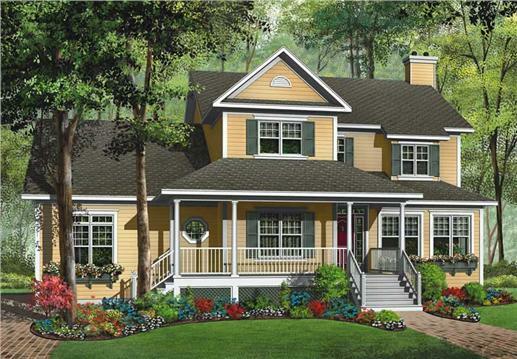 The appealing front porches are an invitation to explore Southern style homes. 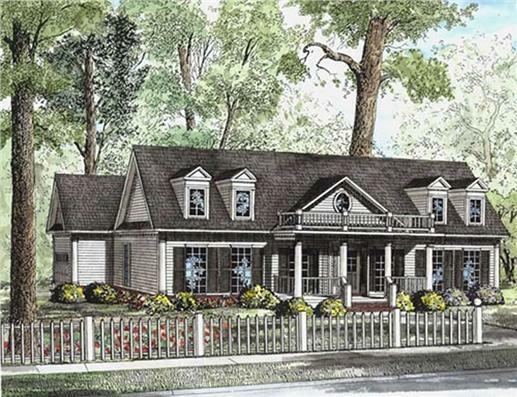 Top: This 2-story home in the traditional Southern plan with a balcony, columns, and dormers has 3 bedrooms, 2.5 baths, a mud room with half bath at the garage entry, and a fireplace in the Great Room (Plan #153-1624). Bottom: This luxurious 5-bedroom, 5-bath Southern plantation design has covered wrap-around porches with boxed columns, a game room, a kitchen island, and abutler’s pantry. The bedrooms are on both floors. The observatory can be reached by elevator or a spiral staircase (Plan #153-1187). Georgian home designs have a palatial look. 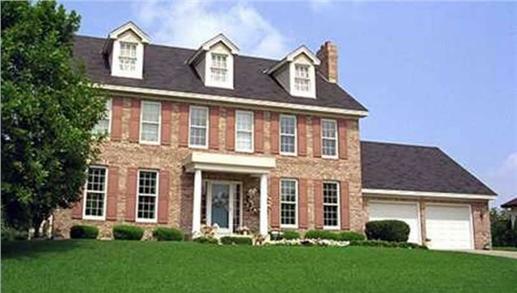 Features may include a paneled front door at the center capped with a decorative crown, raised basements, paired chimneys, flattened columns on each side of the door, hipped or gabled roofs often with dormers to light attic spaces. Many Georgian homes may include small window panes in each window sash; and dentil molding – wooden trim that has tooth-like blocks – along the eaves. Georgian house plans usually have a large central corridor from the entry. Stairs are placed in the entry with a room on either side of the foyer. Some other features are wood or linoleum flooring, cherry, oak or maple cabinets. Top: The Mansion House at Mount Vernon with the two porticos on each side is the classic Georgian design. 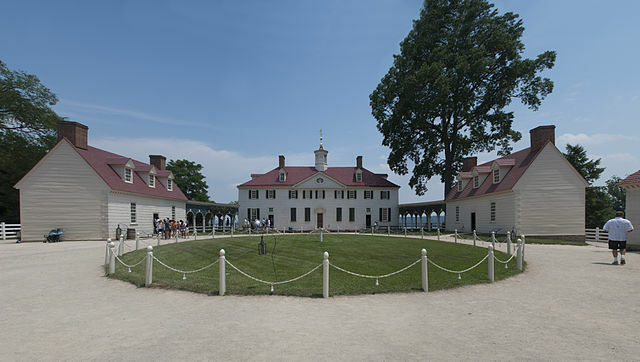 The main house in the center is flanked by secondary detached wings (photo credit: Mount Vernon by David Samuel licensed under CC BY-SA 3.0). Center: Facing the Potomac River eastward, the home shows off its full-width covered rear porch with 8 massive 2-story columns (photo credit: Mount Vernon Estate by Martin Falbisoner licensed under CC BY-SA 3.0). Bottom: The exterior of the Georgian style home follows the symmetry found in Mount Vernon’s design. The two-story home has 4 bedrooms, 2.5-baths, and a formal living room, spacious family room, fireplace, kitchen island with dinette, and screened back porch. 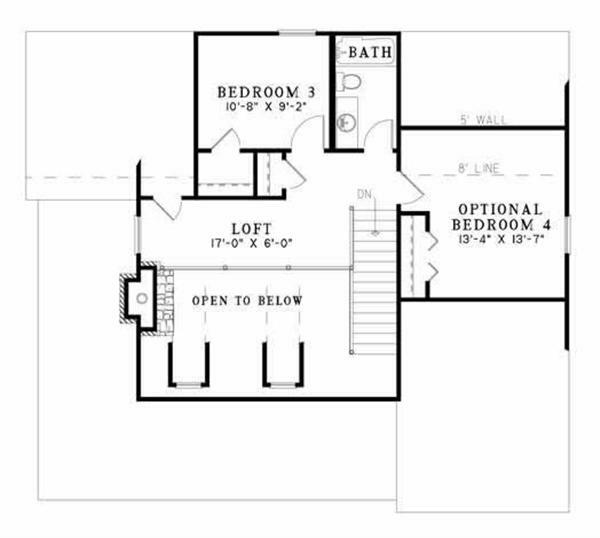 The master suite has an optional fireplace (Plan #146-2292). The first farmhouses were “do-it-yourself” creations by those who tilled the land. Born out of necessity and hard work, they were simple, comforting and full of the warmth of family life. The farmhouse style evolved with the times as Americans became more prosperous and adventurous. Through all the changes, the farmhouse design maintained its characteristic simple, vertical lines, gabled roofs, fireplaces, and wide covered porches that wrap around the entire house or just extend to the front door. The large kitchens remain the center of all social and family activities. Most of the innovations are personal touches and decorating accents that match the lifestyles of homeowners. Chic, homey or quaint – the farmhouse continues to remind everyone of the safety, security, comfort, and spirit of family life. The main level of this modern farmhouse includes a foyer, formal living room, family room and dining room separated by a fireplace, laundry room, kitchen with island and breakfast area. On the second floor is the master suite with fireplace and a private bath, two secondary bedrooms, home office/third bedroom, bonus area/fourth bedroom (Plan 126-1769). One of the most popular home designs, country house plans are comfortable, cozy, attractive, informal; they can also be rustic and elegant. Country homes can be single-level or two-story structures. Distinctive features are exposed beams, rough finishes on the walls, fireplaces for warmth, and windows with small panes. 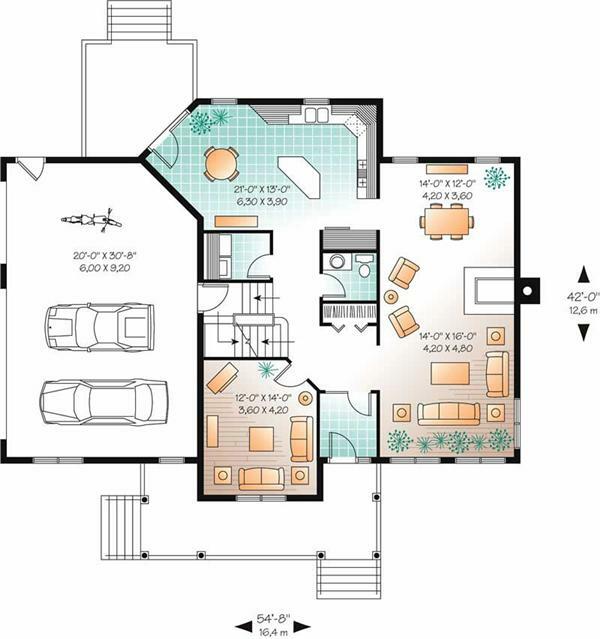 These house plans are especially popular in region-specific areas like Kentucky, Tennessee, and North Carolina. Add wide covered porches, dormers, gabled roofs and big kitchens, fireplaces to complete their charm and appeal. This charming Southern styled country home boasts upscale features: a covered lanai, covered front and rear porches, Great Room with built-in cabinets and gas fireplace. The kitchen has an island with an eating bar and a room for family and friends to gather. The guest bedroom has a full bath and walk-in closet. 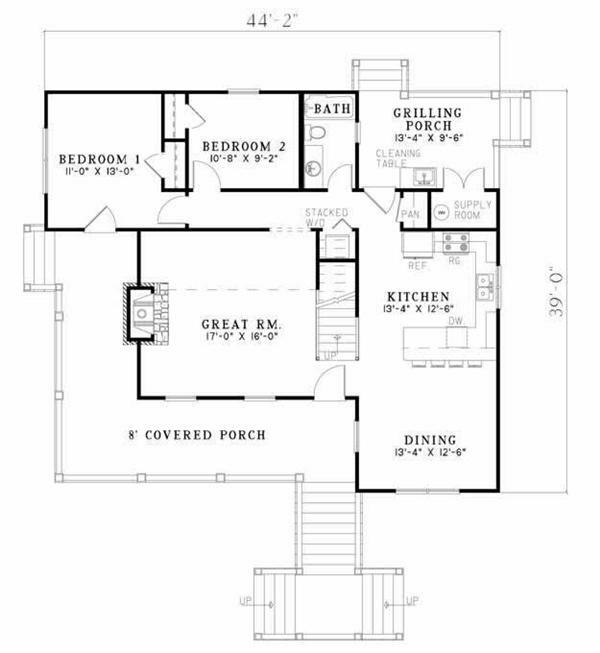 The master suite has a raised ceiling and separate walk-in closets (Plan 141-1073). The low country cottage is very popular in coastal areas of the South like South Carolina and Florida. Described as “white siding covered cottages that often hover on the edge of the marsh,” the homes are elevated on piers to avoid flooding. The two-story homes feature plenty of windows to allow the sea breeze in on hot, humid days; wide covered porches to provide shade, and attic dormers. 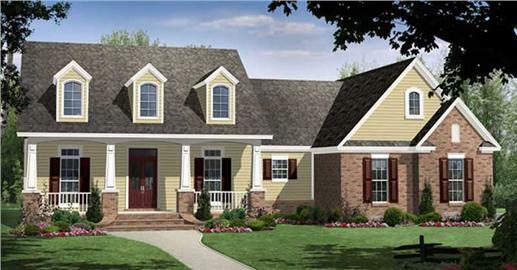 The inviting wrap-around porch of this Low Country home plan welcomes guests to the 2-story, 3-bedroom, 2-bath home with wood siding. Plenty of windows provide abundant light: inside are a dining/living space, kitchen with a nook/breakfast area, family room, fireplace, and loft. 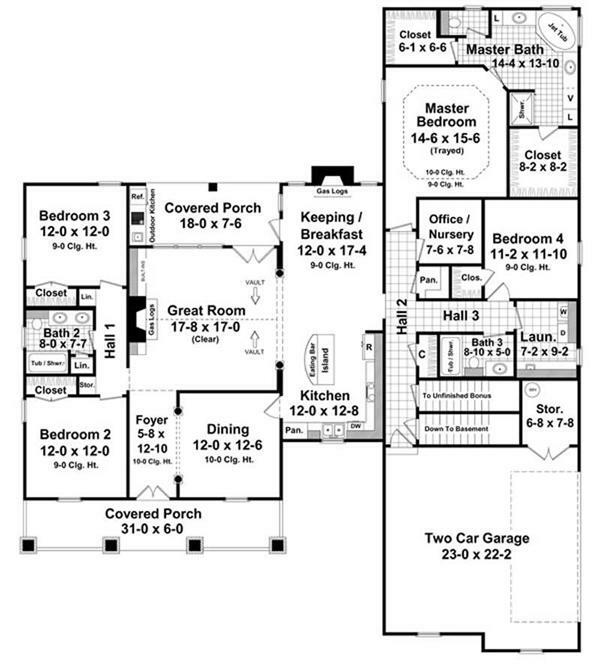 Floor plans are shown for this home (Plan 153-1899). The Southern or “plantation” style originated in the Southern states in the Antebellum period – before the Civil War – when times were more genteel and relaxed. This incredible era in the South highlighted the wealth of Southern plantation owners. Their stately homes were large and made for entertaining and presented a look at old-fashioned Southern graciousness and hospitality. Influenced by European styles and designs from different eras, Southern homes are historically two story structures, sometimes adorned with dormers. They are spacious, formal, grand, and airy, with evenly spaced windows, pillars, brick columns, and balconies that create elegant lines and symmetrical balance. Perhaps the most famous Southern plantation is the fictional “Tara” from Gone with the Wind, which was an exterior façade constructed on the lot of RKO Studios. Imagine Scarlett O’Hara sashaying down a grand staircase into a ballroom for a formal event. 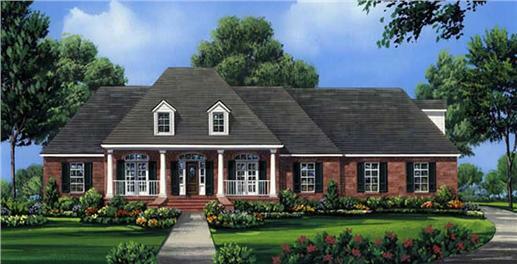 Unlike most architectural styles that went through up and down cycles, the Southern house plan never lost its appeal. 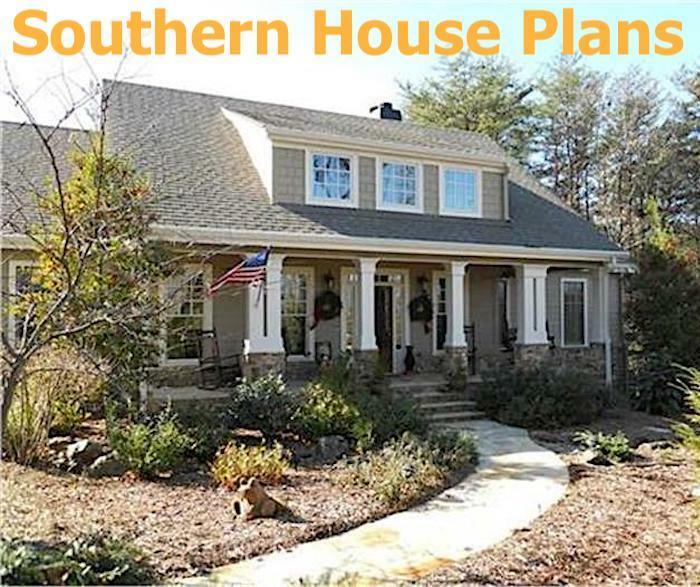 From the formal and grand to the simple and attractive farmhouses and country homes, the Southern house plan offers something for every taste. But, perhaps, the most overwhelming attraction is the comfort, warmth and grace that recalled a distant but glorious age in American history. Who can resist a home where you can kick off your shoes and live the ultimate Southern experience? You can capture the spirit of the South and satisfy your inner Scarlett or Skeeter whether you choose a plantation, Georgian, country or farmhouse design. Get ready to open the doors to an old friend!